Most people buy a house without knowing the condition and safety of Electrical Wiring. If the previous owner/s have installed illegal Electrical Wiring, an Electrical fault or Safety hazard may develop that could result in the loss of life and/or property. Nearly every house over 2 years old we visit is found to have some illegal wiring! This week we were called to a house in Epping because of power constantly failing. 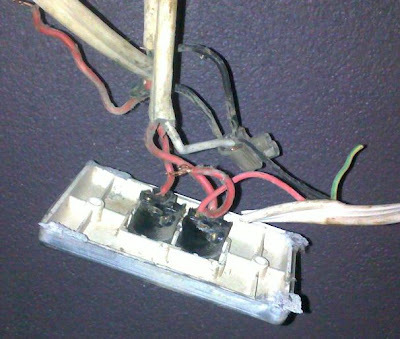 What we discovered was one of the worst examples of illegal Electrical Wiring we have ever seen. As Electrical professionals, its normally easy for us to spot illegal and dangerous wiring. 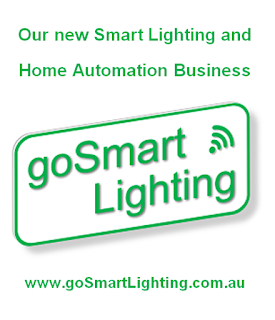 But what can home owners do themselves to try and determine if their own home has any obvious illegal wiring? (1) If you find any exposed (normally white) wiring, it is likely to be illegal. (2) If you find any Electrical fittings that are not secured, it is likely to be illegal. (3) If any wiring looks untidy, twisted, hanging or loose, it is likely to be illegal. (4) If you find a join in Electrical Wiring not within a junction box, it is likely to be illegal. 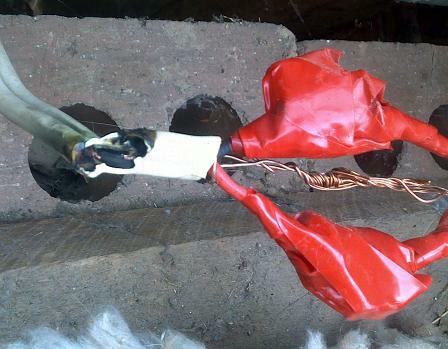 (5) If you find extension lead installed in a permanent position, it is likely to be illegal. (6) If you could reach bare Electrical Wiring while standing on the ground, it is likely to be illegal. (7) If your switchboard is loose, missing parts or has exposed Electrical contacts, it is likely to be illegal and unsafe. Remember - This list is only intended for home owners to identify 'obvious' illegal or un-safe Electrical Wiring. As most of the Electrical Wiring is located within walls, under floor and in roof spaces, only a trained professional will be able to carry out a complete visual inspection and complete the required electrical tests to ensure the Electrical Wiring is in good order. If you suspect you have illegal or un-safe Electrical Wiring, call in a Licensed Electrician. Under no circumstances should you attempt to rectify the situation yourself. If you are unsure, send a good photo to me via geoff@eppingelectrical.com, I will have a look and provide my advise to you free of charge. When we work at a home, we get a sense of the extent of the illegal wiring we may encounter. Normally early visual inspections will indicate to us that illegal wiring may be present. Here is a photo I took from the house we visited this week. We found this home had several illegal joins in Electrical Wiring, as you can see, the join is substandard and dangerous. Lucky for the home owner this fault did not cause a fire. 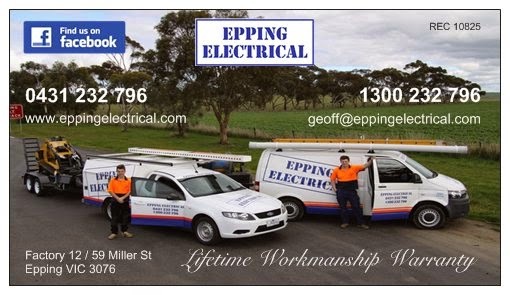 If you are planning to buy a house in the northern suburbs of Melbourne or simply want to be sure your home is safe, call EPPING ELECTRICAL to provide an Electrical Inspection.